Stephen Rae, Group Editor In Chief Independent News and Media. Photo by Steve Humphreys 2nd March 2015. Stephen Rae is Group Editor-in-Chief of INM, Ireland’s largest media group. INM is the market leader in online news and in the daily, Sunday and regional newspaper sectors. 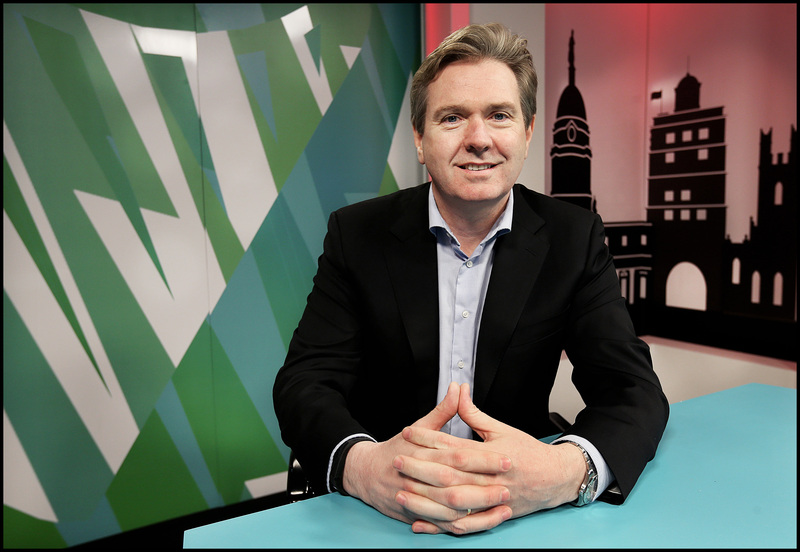 Stephen has led the group’s online transition, building a seven day “Digital First” newsroom, which has made Independent.ie the largest and fastest growing news source in Ireland. Stephen designed the central editorial hub which produces content for all the group’s news, sport and entertainment platforms – online and print. More recently, INM has introduced “write-to-fit” production methods on its newspaper titles, which are being replicated in other international media groups. Before his current role, Stephen served as Editor of the Irish Independent (2012) and Evening Herald (2006). Stephen is a graduate of the DIT School of Journalism, as well as a qualified barrister-at-law and criminologist.